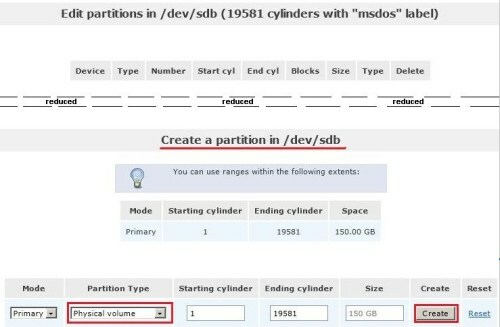 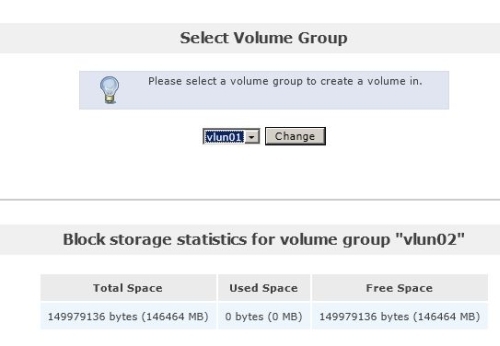 In this window you can define the space for the volume and a filesystem/volume type. 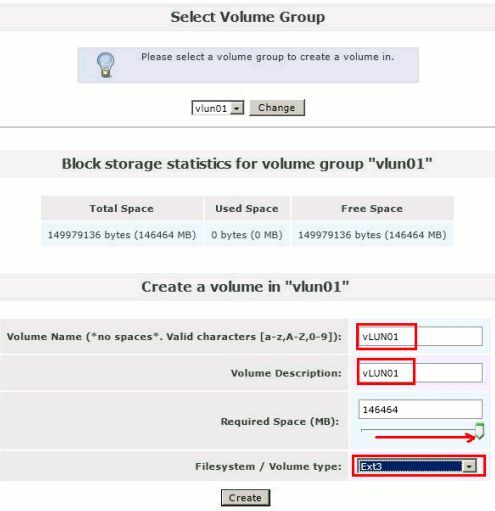 Repeat these steps to create a volume vLUN02! 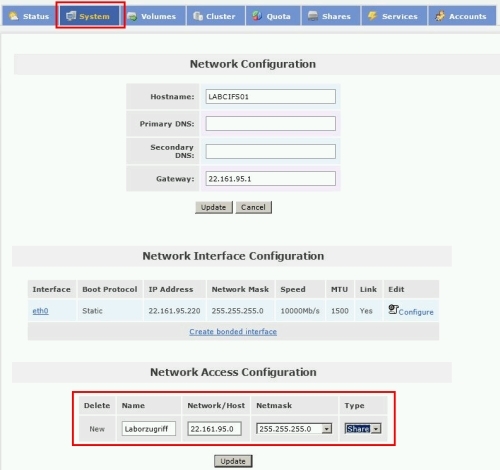 It is necessary to configure the network access configuration to allow our lab environment access to the Openfiler. 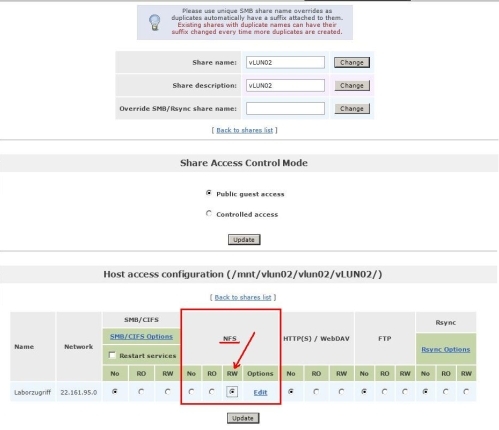 After completing these steps the openfiler provides two NFS Shares to your LAB environment (vLUN01 and vLUN02)!